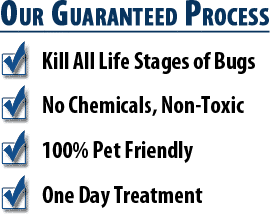 We have been in the bed bug industry for 5+ years and have treated over 8,000 homes across the Valley with 100% success. General pest control companies do not have the same amount of experience and knowledge as we do when it comes to bed bugs. If you suspect bed bugs are in your home because of itchy bumps (that often look like mosquito bites) or red rashes, do not hesitate to give us a call. 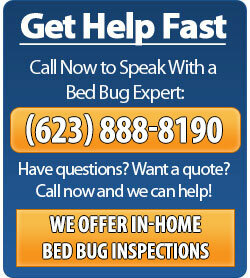 You’ll receive a free bed bug inspection where we will thoroughly inspect your home where bed bugs are often found. If we do find bed bugs in your residence, we will let you know exactly what you’re dealing with, how many rooms they’ve spread to, and go over your different treatment options. When it comes to getting rid of bed bugs, you have two options for complete treatment and extermination. 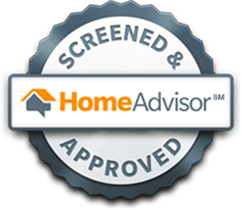 Both treatment options are 100% effective, and we offer up to a 1-year warranty when we treat the entire home. For bed bug extermination and treatment pricing, give us a call at 623-888-8190. 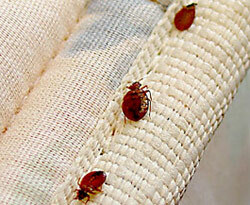 We also offer free bed bug inspections to determine the level of infestation. From there we will recommend the best treatment option based on our findings. Unlike some of our competitors, we guarantee our work for a year. This means, if any bed bugs arise after we’ve completed the job, we will come back out to your house free of charge to re-treat. 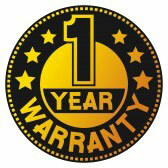 To learn more about our 1-year warranty, click here. You can always expect excellent customer service, and you can find all of our customer reviews around the web on our Customer Testimonials page. 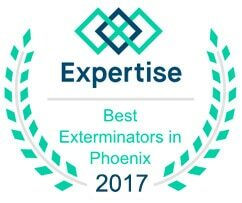 We are committed to providing efficient bed bug removal and bed bug extermination services to the Phoenix-metropolitan area, including Glendale, Peoria, Chandler, Scottsdale, Mesa, Tempe, and other surrounding areas. Many people may try to treat bed bugs on their own, but quickly find that their product does not work, or they did not exterminate all of the bed bugs. Because bed bugs can easily hide in many places (any small crevice), thorough and professional extermination is needed to get rid of bed bug infestations. The longer you put off getting your house treated, the more time bed bugs have to lay eggs and spread further into your home. The two options of treatment is a heat treatment or a chemical spray. The main difference between the two is the bed bug treatment cost and how quickly they work to eliminate your bed bugs. Heat treatment is the best option because within 8 hours all bed bugs and eggs will be dead. The chemical spray is the lower cost option, but it will take up to 30 days for all bed bugs to come in contact with our pesticide.